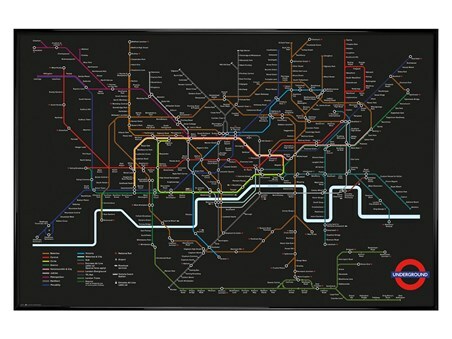 Education Large Canvas Print: Whether you get the London Underground every day or it is a once in a lifetime experience, there is no escaping the iconic status of the map which winds its way through the underground tunnels of London. 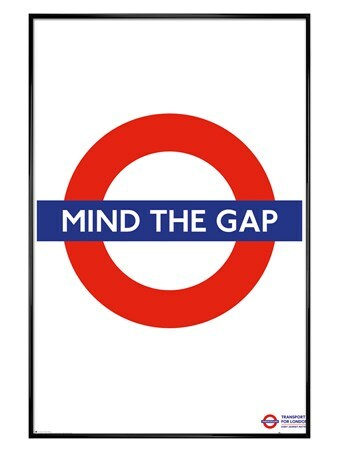 This stunning canvas print features a vintage design of the map from 1936 and unlike the modern version; this piece is on a beige background with red, green, blue and black routes across the city. 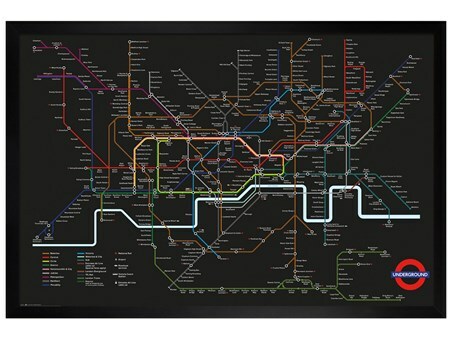 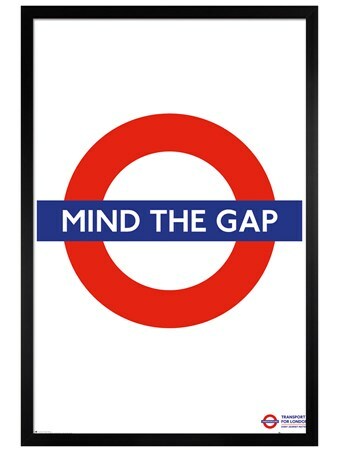 Complete with the London Underground logo and even a map reference, this replica canvas print is sure to make a stunning addition to your wall if you love the culture of this capital city. 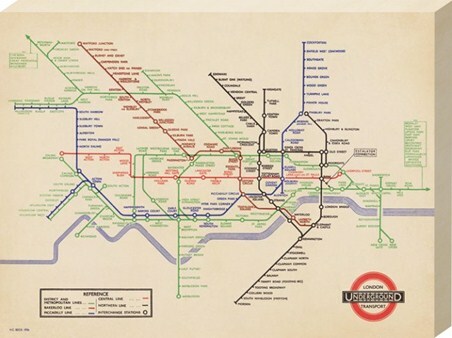 High quality, framed Vintage London Underground Map, 1936, London Transport large canvas print with a bespoke frame by our custom framing service.